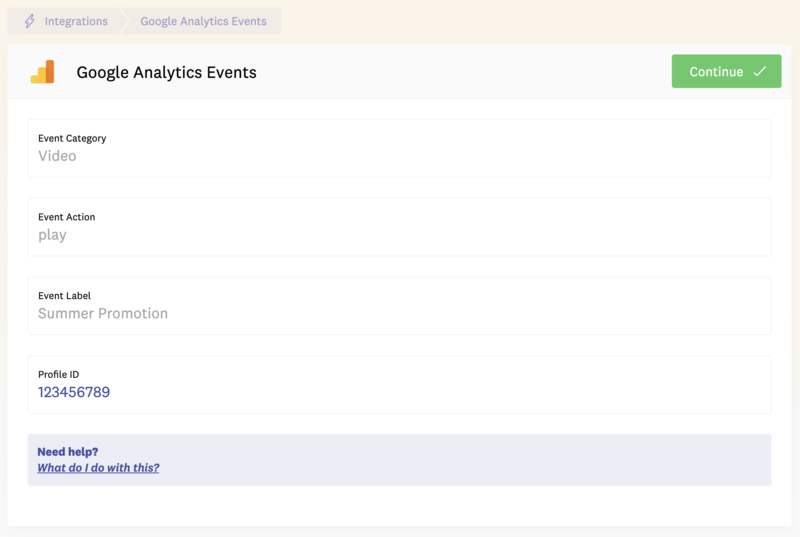 If you configured Google Analytics Goals to track recent orders, signups, webinar opt-ins, or anything else, you can connect those Event completions with Fomo in a couple clicks. Note: if you are seeking to connect Google Analytics inside your Fomo dashboard for click-through conversion reporting, go here. If you are seeking to show off Goal completions, go here. Log into your Fomo dashboard and connect Google Analytics, selecting any goal you'd like from the drop-downs. This grants Fomo the permissions needed to import whatever goal completions you want to show off. You cannot move forward to Step 1 until this is complete. After deciding which Goal to show off, log into Google Analytics and navigate to the View that hosts the goal. Copy the "View ID," we need this. While logged into Fomo, visit the integrations tab and search for "Google Analytics Events." Paste the ID you just copied into the Profile ID field. Back inside Google Analytics, navigate to "Behaviors" on the left side margin, then click Events > Overview underneath. Decide which Events you'd like to show off, then plug the values (Category, Action, Label) into the Fomo interface. Note: each event attribute you provide (Category, Actin, Label) acts as an "AND" filter. So, if you input "Video" and "Play," we'll only filter for events where each of those attributes is true. Fomo will ignore querying for events by an attribute you leave blank. Going forward, Fomo will automatically fetch the last 24 hours' event completions and their monetary value (if exists) on an hourly basis, clearing out former notifications on each import. You may connect as many unique GA Events as you'd like, each with their own custom messaging. Just click "Connect New" and rename the new integration instances to stay organized.